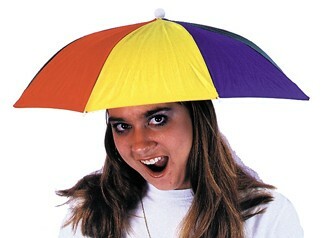 Small sized umbrella attached to an elastic headband. Wear it for fun. One size.